The San Juan is one of the steepest, fastest-moving rivers in the United States, with an average drop of eight feet per mile, steeper than the average gradient of the Colorado River in Grand Canyon. 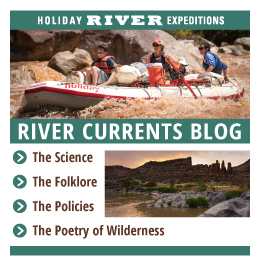 Its rapids are relatively mellow, however, making the river a great place for families, inflatable kayak enthusiasts, and first-time river runners. Archaeological sites from ancient pueblo civilizations and more recent Diné (Navajo) People abound in the upper canyon, and stunning exposures of Colorado Plateau geology dominate. Visiting the River House ruins and rafting through Comb Ridge and the famous Goosenecks of the San Juan are particular highlights. 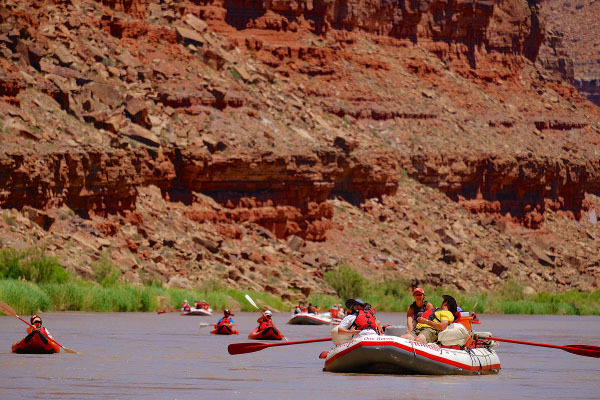 The San Juan is also notable for being the birthplace of commercial river running: Norman Nevills began operating scenic float trips from Mexican Hat through the Grand Canyon in 1938. The sediment-laden river is especially known for the phenomenon of sand waves. Shifting sand on the bottom of the fast-moving river creates waves that migrate upstream, growing in size until they collapse under their own weight. These large but mostly harmless waves make for a particularly thrilling ride in an inflatable kayak. Float from east to west along the "River Flowing from the Sunrise". 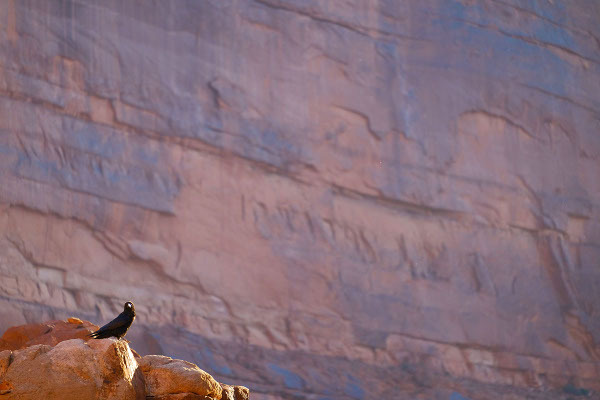 Begin your trip in the town of Bluff, Utah, and ride the current down through some of the most spectacular rock displays on the Colorado Plateau. Pass the famous Mexican Hat Rock just upstream of the town of the same name, then travel through the Goosenecks of the San Juan. Take out at Clay Hills Crossing, just upstream of Lake Powell. 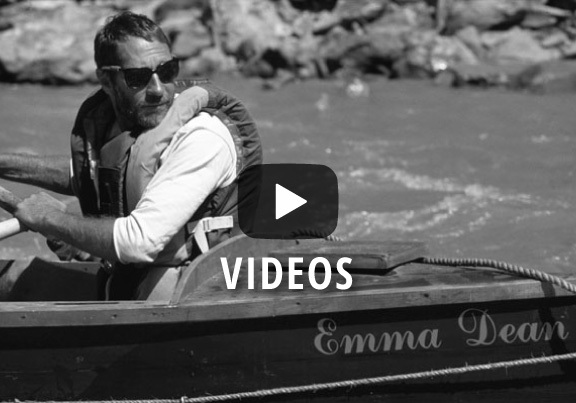 River trips are changeable by nature. It's why Holiday's motto is "Go With the Flow"! The itinerary of each trip we run can change depending on weather, seasonal water flows, the interests of our passengers, campsite availability, and countless other variables. 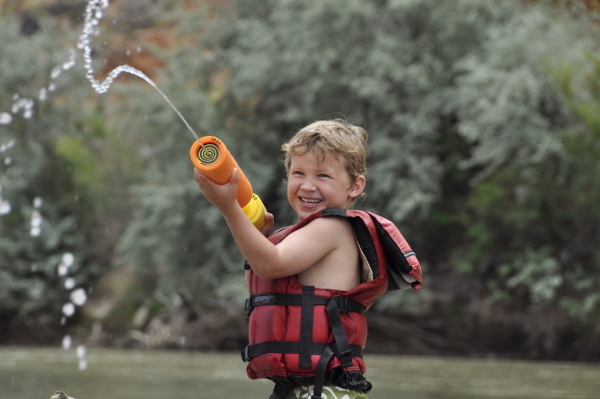 Below is a sample itinerary of what a five-day trip on the San Juan River could include. Day 1: Begin your adventure in Blanding, Utah at 7:00 a.m. Mountain Time, where we'll hop into our vans and travel for 45 minutes to the Sand Island put-in. Spend the day encountering archaeological sites representing five distinct cultures of indigenous peoples. See pictographs, petroglyphs, and hand-hewn steps in the canyon walls. 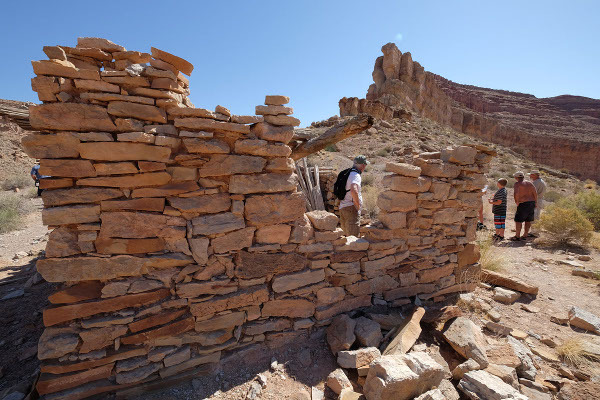 Investigate elegantly designed Ancestral Puebloan ruins before descending through Comb Ridge. Day 2: Pass through the settlement of Mexican Hat, then wave at visitors on the rim of the Goosenecks, hundreds of feet above. Climb up to Mendenhall's cabin, home to an indefatigable gold prospector in the late 1800s. Camp at the foot of the Honaker Trail, another relic from the gold rush in 1892; hike up before dinner for an unforgettable view of the river canyon and Monument Valley. Day 3: Small rapids and soaring walls are on tap this morning. Choose to float silently as a group, letting all of your senses come to life and open to the sensations of the canyon. Take a ride through Ross Rapid and roll into camp in time for lasagna dinner at our very own riverfront restaurant. Day 4: The biggest rapid of the trip, Government Rapid, will splash off our morning. We'll lunch at Slickhorn Gulch, one of the most celebrated side canyons along the lower San Juan. Be sure to scrub off in the river before hiking to the secluded, lush swimming hole—sunscreen and other oils disrupt the fragile ecosystem of the freshwater pool. Day 5: The canyon walls begin to descend around us until we are surrounded by smooth, golden Cedar Mesa sandstone. We may explore Oljeto Wash and play in the mud at its mouth before pushing on through the sandbars and riffles of the lower canyon. Our vans await at Clay Hills, our take-out, and we'll wave farewell to the river as we climb out of the drainage and across the rugged topography of the Monument Upwarp, back to Blanding, Utah, between 4:00–5:00 p.m.
Karen was very polite and helpful in helping me select the best option for my first river raft trip. Total neophyte to river rafting and more than 40 years since I camped as a scout, but this trip was as easy as I could have hoped for. I'm still in utter awe of how hard Sarah and Eve worked to make our trip as effortless as it was! Obviously the guides were amazing, but so was the food, campsite, kayaking, and fellowship with other campers and the guides. Even sleeping on the air mats was pretty good. It was hot so you started out on top of the sleeping bag and crawled inside at some point in the night when the temps dropped. At 2 AM the stars are amazing as I believe this is designated a dark sky area. Amazing campsites you will only believe if you take the trip! I took (and will share ) pictures so people would believe me. We had a 5 year old child with one of the families. The guides entertained this 5 year old better than I could imagine. The little girl was as cute as pie, but still, guides do their work for 15 hours a day and entertain her? 6 stars. I was pretty concerned about the 100 plus heat, but no problems with that since the river was 60F! The guides were wonderful, personable, friendly and just plain outstanding. Sarah did an incredible job, very well organized. Kalie works like a demon. Tess was especially attentive to my two grandchildren which isn`t always easy. They were the best overall crew we have worked with at Holiday. The trip was primarily an opportunity to expose my two grandsons (ages 5 and 7) to rafting as the three adults in our party had traveled with Holiday in the past. The boys had a flat out great time as did the adults. Great guides. great food, great hikes and just a wonderful experience! Thanks. Mac and Jessica are amazing. I've been on all kinds of guided trips and they were my favorite guides I've ever had anywhere. Very professional but didn't act like they were "other" than us. They really were a great part of the trip. The food was amazing, always plenty of it. Cold water. Fun times. Very adaptable to our broad range of abilities and desires in all aspects of the trip.